I’m Pregnant! Can I Get Insurance? How much international insurance coverage is enough? Expecting a child is an exciting time, but it also requires you to start realistically looking at your finances. Having a baby inside the Unites States can be very costly and the fees start even before childbirth, and continue through to delivery and after care. Delivering a child inside the US, for example, can cost anywhere from $3,000- $11,000 on average – and that is not taking into consideration complications. If you’re visiting or studying inside the United States and find out you’re pregnant, check your health insurance plan to confirm if it covers the maternity care you need. If your current health insurance plan does not cover maternity related expenses, or you have no current coverage in place your options will be severely limited. The option of purchasing a plan that includes maternity coverage while pregnant will not be available in most cases. However, it will depend on your situation, location and insurance plan in question. What options do you have? Let’s take a look! 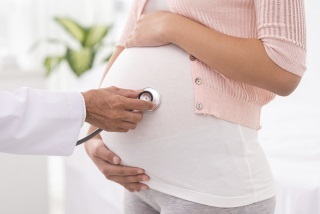 If you will be inside the United States for a short period of time while pregnant, there are some travel medical insurance plans that will provide coverage for complications due to pregnancy. While this is not full maternity coverage, it will cover you in the event that your pregnancy causes a medical emergency. Keep in mind that plans with this benefit will often have a timeframe in which this benefit can be used so make sure to review your policy details. ACA compliant insurance plans do not exclude pre-existing conditions (and pregnancies fall in this category). This means that if you’re already pregnant and you’re eligible, you’ll be able to receive maternity coverage with an ACA compliant plan. Keep in mind that your status as an international visitor along with the requirements of each state will vary. You will need to check the Health Insurance Marketplace during open enrollment (November 1- January 31) or see if you qualify for a special enrollment period. If you’re not able to obtain an insurance plan that covers your maternity expenses, here are a few options that can help ease the pain of high maternity bills. Birthing centers are equipped to handle low-risk births, and have the capability to transfer mothers to a hospital in the event of complications. Birthing centers typically focus on natural births, without the use of doctors or epidurals. The cost of delivery at birth centers is typically between $3,000-$4,000. Along with delivery fees, you must also consider prenatal and postnatal care- both of which can also become very expensive. A women’s clinic is a great option for women who need an economical alternative. The cost of care at a women’s clinic will vary on your income, so be sure to contact the clinic of your choice to get accurate pricing information. If you’re set on seeking care at a hospital, it might still be an option- just keep in mind that your medical costs will add up quickly. If you have a cesarean or run into any complications it could quickly add up to almost $45,000. The good news is that many hospitals will allow you to set up payment plans and negotiate the cost. Prior to delivery, make sure you call local hospitals and doctors to compare prices and confirm if they’re able to arrange affordable payment plans. Although it will bring your international activities to a halt, you should also explore the option of going home. Since the US is the most expensive country for medical care, this can save you money, especially if you have a national healthcare program back home. Consider the options above and contact your international student/scholar advisor to explore nearby options. If you’re unable to find an affordable maternity plan, consider placing your trip on hold, returning home to have your child, and returning to the US in the future. We are from India & delivery a baby into USA so please provide all the details accordingly & if you require any information from our side then please feel free to contact us. Our Student Secure plan covers eligible maternity expenses without a waiting period, however, to be eligible to buy this plan individuals must be a full time international student at a college or university. You can view more on this plan here. I have my student visa granted but I am pregnant and should be travelling within the next two months to the USA. What do I do so as to deliver safely over there while I continue my study as a full international student. Thanks for your message. Since you are already pregnant it would be ideal for you to enroll into an insurance policy offered by your institution, as they are more likely to cover pre-existing pregnancies right away. We wish you the best of luck with your studies! i have student visa and now i.m studying in Sanfrancisco . But i am pregnant what should i do ? Congrats on your pregnancy! Unfortunately we do not have an insurance plan that will cover you if you’re already pregnant, however, our Atlas Travel plan will cover for Treatment for complications of pregnancy during the first 26 weeks of pregnancy. You might also want to look into well-woman clinics near you as they often have discounted rates for maternity needs. Hi what If you are student in other country than usa. Can get insurance also If you are pregnant? My wife and I are about to travel to the US for my post-doctoral fellowship. Do you offer any plans that will cover pregnancy and delivery during the first year of our stay (not a preexisting one)? Yes, we sure do. If you will be a full time international scholar at a college or university then the Student Health Advantage Platinum is a good option for you and your wife. Please keep in mind that conception must occur after the effective date. I have my student visa granted but I am pregnant and should be travelling within the next 4 months to the USA. Thanks for visiting. Unfortunately we’re only able to help you with questions on insurance and we do not at this time have a plan that will cover your delivery if you’re already pregnant. First I want to thank you very much for all your very good information. We are already living in UAE and my wife have green card only and now we find she is pregnant for one month and some , we want to deliver the baby in USA , is there any way that I can make her insurance to help us for the costs for hospital and … At the time of delivery? Thanks for visiting and congratulations! However, we unfortunately do not have a plan that will cover her for her delivery if she’s already pregnant. If she will be traveling to the US and would like coverage for items not related to the pregnancy please let us know and we’re happy to assist with a plan option. I am a currently PhD student in the US, and my wife got pregnant recently. The problem is that she does not have any insurance in the US, so is there any plan she can attend to cover pregnancy and childbirth expense? Please let us know if there is anything else we can assist with! my wife is pregnant and we are seeking some help in deliver in united states and i heard about CHIP program that support deliver and MEDICAID program. I would like to know about them in details that how those help non immigrant visitors in maternity. for the others i want to share one information that BUPA insurance cover upto 36 weeks of pregnancy for emergencies. Unfortunately we’re not able to help you with questions on the CHIP program or MEDICAID. However, if you contact these programs directly they will be able to assist you. Best of luck! If you’re looking for a plan that includes maternity coverage we have a few good options. I have sent you an email so we can provide you with the best service possible. I’m not yet pregnant but I’d like to know the insurance coverage options for giving birth in the US after I get pregnant. Please let us know if you have any questions or if there is anything else we can assist with! Hi there! I am pregnant and currently have insurance in the US that does not cover me abroad. Do you offer travel insurance if delivering outside of the US? Thanks for visiting! If you’re already pregnant and you do not yet have a plan then no, unfortunately we do not have a plan that will cover you for the delivery. We apologize for any problems this may cause, best of luck! I am a PhD student and my wife on F2 visa is travelling to USA soon. My health insurance is covered by my school. However, I am planning to buy one for her, which covers 100% pregnancy expenses. Do you have any suggestion/plan for her which I could buy? Please email me. Thanks! Thanks for visiting! We do have plan options for her if she’s not already pregnant- the Global Medical plan is one great option. It will not cover 100% of her expenses, but it will provide good coverage. I’ve emailed you further information on this plan. My husband is on F1 and I am planning to travel to the U.S. on F2 within a couple months. I am not pregnant yet but I do plan to have baby. Can you please suggest some insurance plan that can cover pregnancy expenses and prenatal care? Thanks for your comment. Our Global Medical plan– Platinum level is a good option to consider. I’ve also emailed you further details on this plan. And I got insurance for international student, and I got plan smart. Now I find out I have pregnant, so this plan can cover for pregnant? What’s hospital I can check? Thanks for your comment. Unfortunately, the Smart level of the Student Secure plan does not include any type of maternity coverage. If you would like to know the details of the coverage that your plan does offer though, you’re able to call the number on the back of your insurance ID card 24/7 for assistance. My husband is on F1visa (CPT status) and we don’t have health insurance.we are looking for health insurance for pregnancy. I’m not yet pregnent.can you please guide me what is the best insurance plan for pregnancy coverage? Hi Pinkynath, Thank you for visiting! We do have plan options for you and your husband that would provide you with maternity coverage if you are not already pregnant. Our Global Medical plan– Platinum level is a good option to consider. I have emailed you with more information about this plan. Please let us know if you have any questions. We are on L1 visa and we are planning for our next baby, as of now we are on short term assignment in US but it looks it may get extended, currently i have insurance from my home country which does not includes maternity coverage so, Is there any visitor insurance plan or other economical insurance option available which includes maternity coverage ? Thanks for reaching out to us. If you will likely need coverage for an extended period of time and also would like to have your maternity covered, our Major Medical plan at the Platinum level could be an excellent option for you. Here’s a link to view more information: http://www.internationalstudentinsurance.com/major-medical-insurance/benefits.php. Feel free to email us at info@internationalstudentinsurance.com with any questions you may have. I am already pregnant 5 weeks and I am residing in Mexico. Please let me know what is the best way to get US Health Insurance and cover the delivery expenses. Please suggest a good insurance plan. Thank you for all the information. My wife is pregnant and we are going to purchase a pre paid hospital plan for the birth in the US. We are looking for additional coverage just in case complications arise. Do you have a plan that covers ” complications ” during labor for a visiting person I think it’s non immigrant visitor visa. Thank you. Treatment for complications of pregnancy during the first 26 weeks of pregnancy is covered under this insurance. Complications of Pregnancy is defined as: Illnesses whose diagnoses are distinct from pregnancy, but are adversely affected by pregnancy or caused by pregnancy, and not associated with a normal pregnancy. This includes: ectopic pregnancy, spontaneous abortion, hyperemesis gravidarum, pre-eclampsia, eclampsia, missed abortion and conditions of comparable severity. The Atlas Travel plan offers international travel medical insurance coverage anywhere outside of your home country from as little as 5 days up to one year. The plan also provides you with the flexibility to choose your maximum coverage limit (from $50,000 to $1,000,000) and deductible (from $0 to $2,500) so you can choose the levels you need. Please let us know if you have any questions or need further help. I have B visa I can use in the next years, when travelling to US. I am not pregnant, but I plan to be (no rush) and want to deliver in US. Which plan is best for me? Thanks for your blog comment. I have sent you some information to your email about the plan that would work best for your situation. Our Global Medical plan– http://www.internationalstudentinsurance.com/major-medical-insurance/benefits.php Platinum level is a good option to consider. I have emailed you with more information about this plan. Please let us know if you have any questions. My fiance and I are expecting a baby, she does not currently have medical insurance and I do. 1- Can I add her to my insurance and will the insurance cover the maternity and labor costs? 2 – Are insurance companies liable to turn her down because she has a pre-existing condition? Thanks for your blog comment. Unfortunately, we cannot advise you on your insurance plan as we are not familiar with your coverage. We would recommend contacting your insurance company directly and they would be able to answer these questions for you. I am on F1 (OPT) and my wife on F2. we are planning to have a baby in usa. we do not have insurance. what are the best options and insurance cover entire her maternity. please provide the detail information which covers her maternity. Thanks for your blog comment. For you and your wife we would recommend our Global Medical plan – Platinum level which offers coverage for maternity. I have sent you an email with more details about the plan. may I ask which is the date that one is considered pregnant from an insurance point of view? Let’s say my insurance started on the 1st of December and my date of fertilisation is on the 5th of December? According to a pregnancy calculator my pregnancy started on the 20th of November (my last LMP). Will I still be covered or not? Some of our plans will offer coverage for maternity and pregnancy, if you become pregnant after the plan becomes effective. This is based on what your doctor states is your date of conception. If conception occurred before the plan became effective, then it would not be a covered benefit. I hope this helps and have a wonderful day! thanks a lot for your quick response! That helps a lot! I am an international student who is currently entering my first-month OPT, I want to ask that do you have an insurance that could cover my maternity expenses? I am not pregnant yet, or I am not sure whether I am pregnant or not, could you tell me whether you have some insurance plans that could help me with this situation? Thanks for your comment. If you are not currently pregnant, I would recommend our Student Secure plan (Budget, Select, and Elite). These levels will offer coverage for maternity as long as you are not pregnant right now. Unfortunately, if you are currently pregnant, none of our plans will cover any maternity expenses. I have sent you an email with more information about the Student Secure plan. My wife is on F1 visa and doing MS with an assistantship in a public university in USA in another state. Recently (March 3018) she got pregnant and her insurance (purchased from school) covers pregnancy. However, her assistantship will be terminated next May 2018 as well as her insurance too since she will not be enrolled any credit after that time. But she will be on F1 status until December 2018 for her thesis writing.On May she will live with me. I am also doing MS in another State with a graduate assistantship.In this situation, is there any insurance plan that I can buy that will cover maternal expenses of my wife? Or Can I buy insurance from my school for my wife (though she is not in F2, dependent visa)? Thanks for your comment. Unfortunately, we do not have a plan for your wife if she is already pregnant. Our Atlas Travel plan will cover complications of pregnancy for the first 26 weeks of her pregnancy. I have followed up with an email with more information about this plan. If your school offers insurance for dependents, please contact them directly for more information as we cannot advise you on this since we do not manage their plans. I m in f1 visa right now..and I am not pregnant yet but I am planning for that.Which insurance is best for me that cover 100% maternity charge? Thanks for your comment. As long as you are not currently pregnant, you are eligible for our Student Secure plan. The Budget, Select, and Elite levels offer coverage for maternity. I have sent you an email with more information about the plan and the coverage. I am on F2 VISA and planning for a baby this year. I have few questions if I am qualified for Medicaid or not? 1) Our monthly income is $2083.33 and if I conceive a baby, will I get Medicaid coverage? 2) Currently, I have ISO health insurance, will it effect to qualify for Medicaid anyway? Thanks for your comment. We are International Student Insurance, not ISO. Unfortunately, we wouldn’t be able to advise you on this situation as we are not familiar with their policies. Generally, international students are not eligible for any government funded programs as those are reserved only for US citizens and green card holders (permanent residents). If you need a plan that could cover pregnancy (as long as you are not currently pregnant), I would recommend our Global Medical Plan – Platinum level. I have sent you more information about this plan to your email. Thanks for your comment. Unfortunately, if you are already pregnant, our plans will not cover your maternity expenses. I would recommend reading this blog post as it gives you some alternatives to be able to afford your maternity expenses while in the US. Hi, Iam under the student smart plan right now and i just found out that Iam pregnant. Can I change my plan right now to secure/budget plan and get maternity coverage? Thanks for your blog comment! Unfortunately our plans will not be able to offer coverage for maternity, if you are already pregnant before a new plan starts. If you would like further information, please feel free to email your inquiry to info@internationalstudentinsurance.com and we are happy to explain this in more detail. I m in f1 visa right now..and I am pregnant (1 month), which insurance is good for me, and currently, I am in Virginia and I am planning to move to California in September or October. Can you please suggest me good insurance Plan and company will cover both states. Thanks for your comment. Unfortunately, if you are already pregnant none of our plans will offer maternity coverage. I would recommend reading this blog post as it gives you some alternatives to be able to afford your maternity expenses while in the US. I have also sent you an email with more information about our Atlas Travel plan that will offer maternity coverage for complications of a pregnancy. My wife is in her trimester and we are in U.S on visitor visa. Please provide some insurance plan we want to deliver our baby in U.S. Thanks for your comment. Unfortunately, if your wife is already pregnant, our plans will not cover her maternity expenses including delivery. I would recommend reading this blog post as it gives you some alternatives to be able to afford the maternity expenses while in the US. I have been under my sister’s insurance and recently have been opted out bc I had moved out of her apartment. I started living with my boyfriend and we’re looking for insurance companies and plans that would help us cover for the rest of the pregnancy. I am already 7 and a half months. Only my boyfriend works, and the insurance he was under didnt cover maternity expenses. What would you suggest we do and what companies should we look into? I’m looking for maternity insurance plan. I’m from Japan and have A2 visa. I will be in Florida next Feb to 2020 Feb. I’m not pregnant yet, Is there any insurance plan for me covering maternity including delivery and pre-post care. is it possible to buy a plan before entering US and is it possible to buy a plan after pregnancy? Thanks for your blog comment. Our Global Medical plan – Platinum level offers maternity coverage as long as you are not currently pregnant. I have sent you some information about it to your email.